Scroll all the way to the bottom of this post to grab an EXCLUSIVE Sedona Lace coupon code ! As a teen who put a full face of makeup on every morning before school - even in middle school - I really only used to used maybe 3 different brushes. I remember I had a very small dense concealer brush, a big ol powder brush and a blush brush. Now that my collection has grown to having several different shapes, sizes, brands and purposes I figured it's about time I share some of my favorites with you guys. 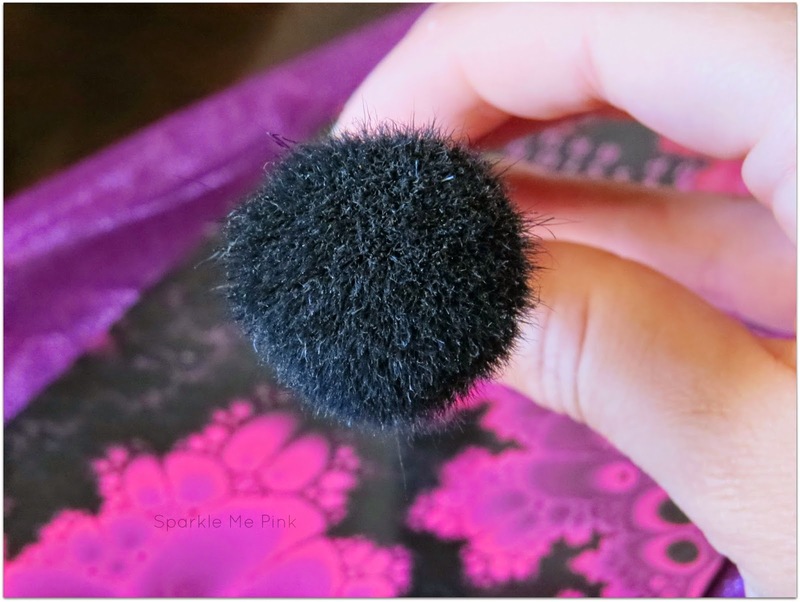 The first bunch I want to share with you are my Sedona Lace brushes. The two brushes I own from Sedona Lace are the Tulip Contour and the Dome Contour brush. Both are part of a larger set called the Vortex kit. I just own these two though. Both have sturdy wooden handles and have very sturdy yet soft pliable bristles. The Tulip Contour brush has that signature tapered look of a Tulip flower. I would say that this brush has a medium density to it. The hairs bend enough that the product / powders glide across my skin smoothly but isn't too bendy that they flick all over the place. The web site says it is great for cream foundations, however, I have only used it for setting my T zone and occasionally using the tip area for highlighting. I do also have a separate brush that I usually use to highlight but when I'm my being lazy this also works just as well. The Dome Contour is a heavier more dense brush than the Tulip one. The bristles are stubbier and more compact. This is great for smoothing out thicker creamier and overall more stubborn products. I like to use it for blending my cheek contour lines. The website states brush would also be good for blending out foundations but I feel like it is a bit too small for me to use it for that. I did find that when the brushes first arrived they both shed a bit but after I gave them their first bath I haven't noticed any more shedding. If you were to only pick one brush of these two, I would say go for the versatility of the Tulip Contour brush. 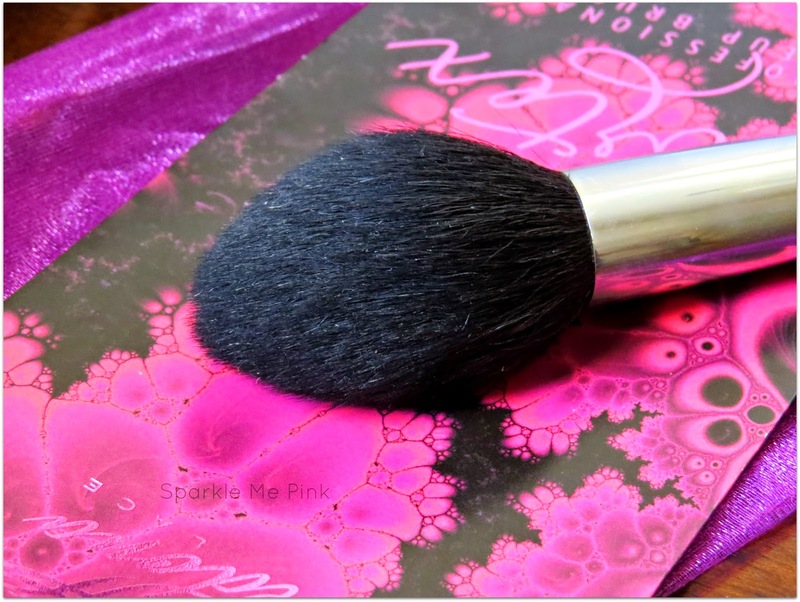 The unique shape of this brush really helps to softly blend a variety of different products onto the skin. 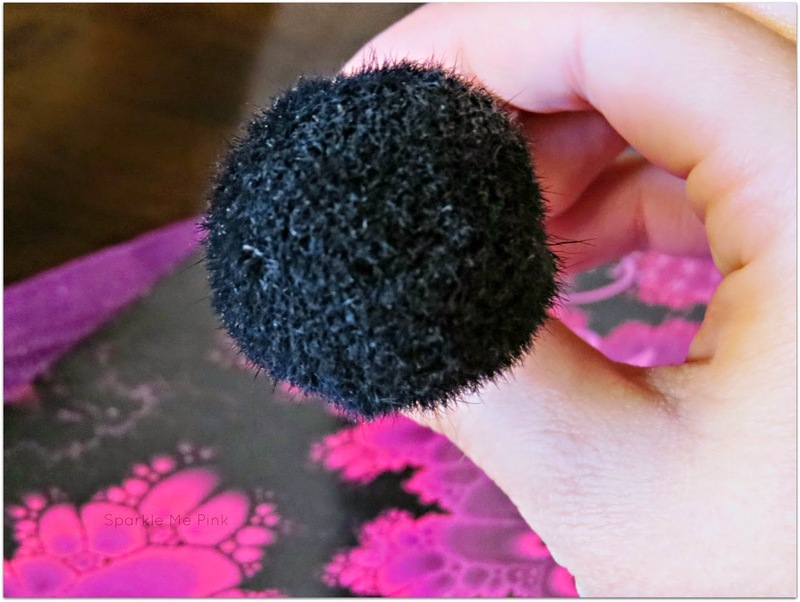 I do find myself grabbing for this brush on a daily basis. Which brush is your favorite ? 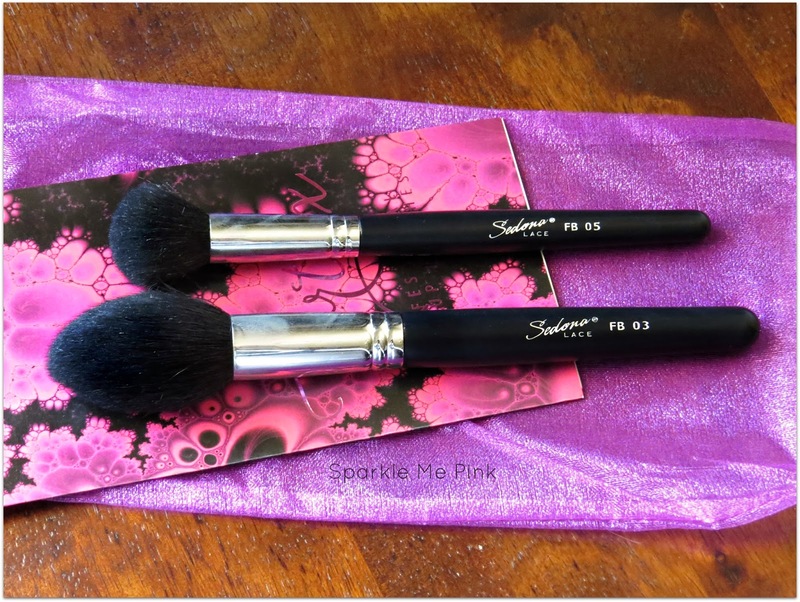 Do you have any Sedona Lace brushes ? 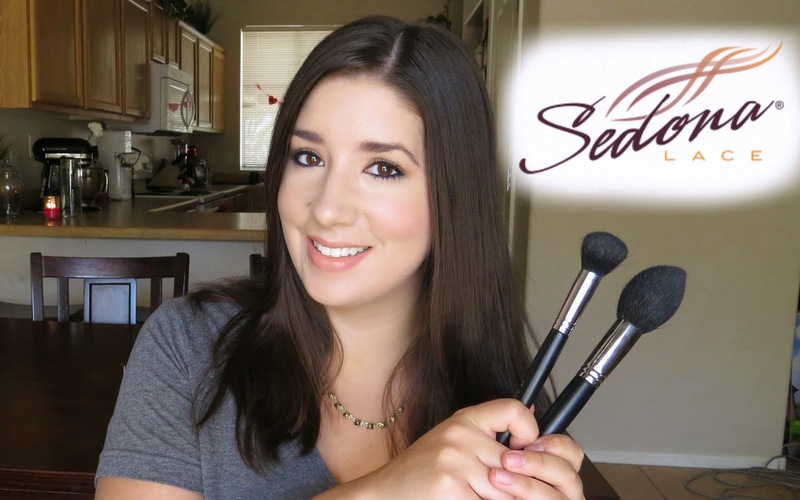 Check out the Sedona Lace website to see their whole line of makeup brushes and cosmetics. They often have deals too !! So follow them in Facebook to stay up to date on those. I actually have an EXCLUSIVE $4 off discount code to share with you guys!!! Simply copy and paste that code into the promo code area during check out to save $4 off your purchase of $15 or more! I've been looking for new brushes! I'm def going to check these ones out! That tulip tip looks neat.. :) I am a big fan of long-handled makeup brushes.. thanks for this review, I'll check them out! leave the black bristles on your face. 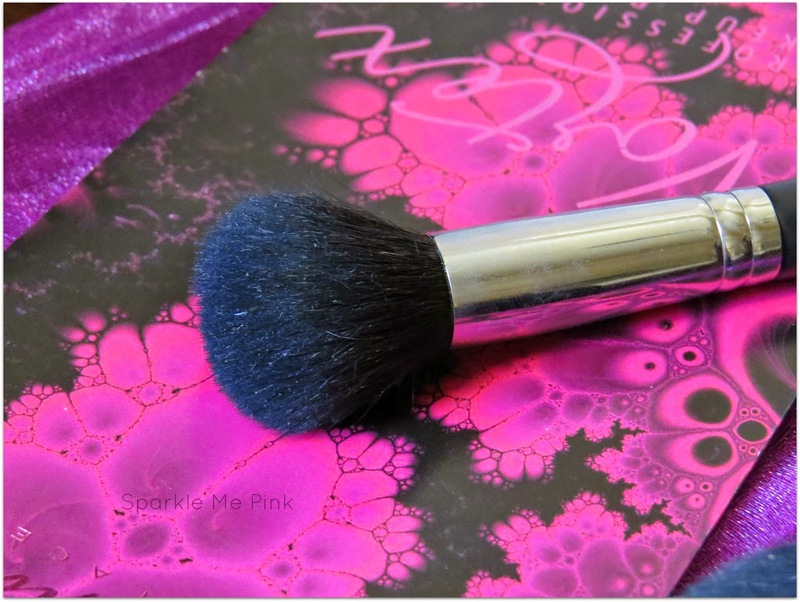 I use mineral makeup and could definitely use more brushes and I think the Tulip Contour Brush would be perfect for applying mineral foundation. Thanks for the review.